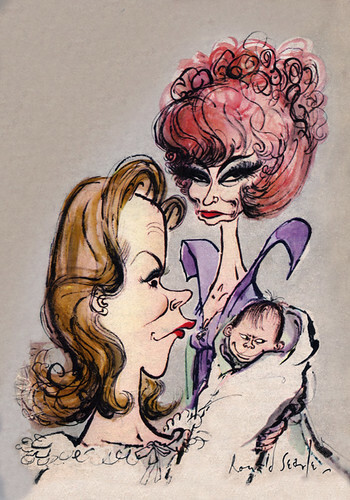 Illustrator Ronald Searle's fanciful ink and watercolor drawings for magazines in the 50s and 60s are some of the most fun things you could ever lay your eyes upon. 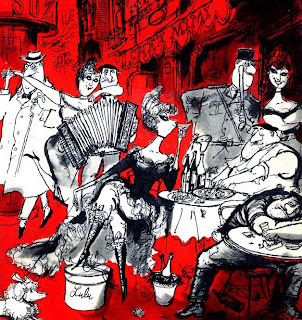 Recently I posted some Searle artwork on my blog, and subsequently discovered the incredible Ronald Searle Tribute site by animation artist Matt Jones. Jones, whose own artwork is a treat in itself, is a devoted admirer and had the good fortune to interview the reclusive 88-year-old master in September. The account of his meeting with Searle, and the treasure trove of eye candy, make this blog an instant favorite of mine.